February 6, 2015 June 24, 2018 P.O.P. Of all the questions I hate being asked, few are as annoying as “Do you believe in God?” For one thing, it’s a very overrated question: what difference does it make whether any particular individual possesses such a conviction? Will God disappear in a whiff of smoke if He doesn’t maintain a quota of devotees? Though they may not realize it, people who exalt this query to a position of prominence are indulging in a form of gambling. They are participating in what has come to be called Pascal’s Wager, after a rumination by the French philosopher Blaise Pascal (1623-1662). Wager, then, without hesitation that He is. (…) There is here an infinity of an infinitely happy life to gain, a chance of gain against a finite number of chances of loss, and what you stake is finite. 1. Belief is not a button. The first problem is that, as Pascal himself observes only a couple of sentences later, faith isn’t exactly something that you can just turn on or off. But some cannot believe. They should then ‘at least learn your inability to believe…’ and ‘Endeavour then to convince’ themselves. How exactly should those who “cannot believe” try to “convince themselves”? If he’s going to urge people to attempt the impossible, he might at least offer a couple of pointers. It’s conceivable that we ultimately have no choice in whether we are believers or skeptics, even when we convert from one to the other. It may be that such options are the inevitable product of how we process and react to information; and that those details are determined by biological/ biographical factors over which we have little or no volition. From all appearances, however, we do have at least some control in the matter. And assuming that we do, the choice to believe is in some ways more of a voluntary commitment than the choice to doubt. If you decide to believe, for instance, that the earth is 6000 years old or that vaccines cause autism, you must exercise an ongoing effort to single out factoids that seem to support your conclusion and steer clear of the mountain of evidence that contradicts it. A commitment to skepticism, on the other hand, is more general and open-minded. Even assuming that the decision to be skeptical (which I highly recommend, by the way) is made totally of your own free will, the thing is that it comprises a broad resolution to demand that extraordinary claims be backed up by extraordinary proof. Religion, by the way, is itself highly overrated; for many people it’s the most important thing in the whole world. For some, it’s just about the only thing that really matters. For my own part, I can hardly think of anything I’d consider less important than religion. But it isn’t for personal reasons that I call it overrated; it’s because many religious people are quite oblivious to the fact that religion isn’t for everyone. Whatever its degree of importance, it certainly has been injected into American public life to an excessive degree. More to the point, the supposed validity of religious doctrines is an entirely separate matter from the supposed existence of a divine being. Pascal treats the two as if they were interchangeable, or at least inseparable. But there are many people who believe in God, yet are not religious. For that matter, there are many religious people who consider themselves atheists – including some ministers. Of course, they are very discreet about it, because many of their flock consider atheism the ultimate evil. But the main reason I find the Overrated Question so annoying — and so overrated — is that it is in itself quite meaningless. If you tell me that you believe in God, what exactly have you told me? Nothing, without some clarification. I could tell you today that I do too, then tell you tomorrow that I don’t — and be perfectly accurate and honest in both instances. It all depends on how I happened to define my terms at the moment. And this is where many great philosophers dropped the ball. They considered it important to “prove” the existence of God, sometimes with elaborate logical constructs modeled after geometric proofs. But they were rather negligent in explaining exactly what it was they were trying to prove the existence of. The word God means different things to different people, ranging from (to quote a humorous recording from the Sixties) “hairy thunderer” to “cosmic muffin”. If that isn’t complicated enough, there are also different levels of belief. You can believe something literally or figuratively. You can believe something with all your heart, mind and soul to the point that you’re willing to stake your life (and afterlife) on it. You can believe that something is probably true, but hedge your bets. You can believe that something may be true, but be unwilling to commit to assuming it is. You can believe it’s reasonable for other people to believe that something is true, but not really believe it yourself. You can believe that something is true on some planes of reality, but not the one you happen to inhabit. You can offer a tenet a kind of meta-belief, as one might believe in Santa Claus or Batman. In short, The Overrated Question is one that cannot be adequately answered with a simple yes or no. But that is exactly the kind of response the questioners almost invariably expect, so they can pigeonhole you and — quite often — condemn you if you answer the wrong way. A few years ago, I was having a stimulating conversation with a relative who was suffering from a terminal illness when he posed the question point blank. I was uncomfortable as I always am when somebody does that; knowing that his side of the family was fiercely Catholic, I didn’t think I could offer a response that he would find acceptable. But since he’d been straight with me, I was straight with him. “Depends on what you mean by God”, I said. I figured this would throw him off balance and he’d drop it. But as it turns out, I was the one thrown off balance. “The spirit of universal love”, he replied. Now this is a rather nebulous concept itself, but it still narrows the field considerably in comparison to God. And it was not a concept that I felt I could reject. I regret to say that since then, this relative has passed on to the next level, if there is one. Unlike most people, I don’t claim to know whether he really has had a chance to experience God at close range. But I do know that when it comes to figuring out what kind of God he was expecting to encounter, he was (unlike a great many people) on the right track. One other aspect of Pascal’s wager people miss is that he posed it using the existence of God as an unanswerable question. He was demonstrating how to decide what to do when you had imperfect knowledge. How to make a decent bet when you can only calculate the cost benefit solution. He makes it very clear in his preamble that he considered the question of God’s existence to be unanswerable. He also makes it clear that the concept of making the wager fails as soon as you assume you have a definite answer to the question of what to do when you can’t have a definite answer. In short, and apparently only in my opinion, the main failing of Pascal’s wager as a religious arguement is that the wager is only partially presented instead of fully presented. If it is fully presented as Pascal explained it then it becomes a good argument for agnosticism instead of an argument for conviction of belief. Pascal’s wager should be left to the business schools as the first clear example of Cost Benefit Analysis and if anybody tries using it as a religious argument they should have the full wager explained to them so they can understand why it is not a good religious argument. Be that as it may, the fact that I hold some very deep beliefs about the teachings of Christ does not mean I haven’t got something to learn from atheists, or that they might never have something to learn from me. I completely agree that many philosophers “dropped the ball” when thinking it is necessary to prove that a god exists by use of rational means. My own feelings about Jesus, for example, have very little to do with scientific experiments of exercise in rationality that can, or even needs to be, used to validate my feelings. I cannot prove the existence of a God anymore than I can prove the existence of little green men, but that should not imply that belief in a divine being is just as ridiculous or irrelevant as proving whether Martians or Leprechauns exist. It also does not imply that, on a rational level, I can absolutely use reason or empirical observations, to prove that such a being exists. i.e. One of the science teacher at my university (way back when) challenged a rather extremely religious person to prove the existence of God. This challenge was to be decided by having him pray to God and asking the alleged supreme being to make the professor’s coffee cup levitate in front of everyone there, (or some such paranormal miracle). Needless to say the believer failed the experiment, and the professor used his failure as proof that a God does NOT exist. As you pointed out, many people have very different ideas about God and they surely can come up with some sort of biblical reasons why God would not want them to succeed at levitating a cup, or they might believe that only Christ or God can perform miracles so it would be a sin to even make such a request of him and that any successful miracles might be caused by the “Devil.” But one of the most impressive things I have read about this type of thing, comes from a chapter in a book called “Be Here Now,” which stresses mindfulness in the here and now, as well as featuring some very touching moments in the life journey of Richard Alpert who pioneered research about the effect of LSD, along with the infamous Timothy Leary. The book explains buddhist teachings, (as well as noting corresponding teachings in many major faiths) and the back of the book contains chapters about meditation to facilitate one’s enlightenment. At the end of each of those chapters, a section called potent quotes, (I think), lists some very pertinent comments on which to meditate. One of those things in regards to enlightenment being a process where one’s spiritual nature is totally fulfilled, refers to the words of Jesus saying, (probably not a perfect quote) “if you had faith like a grain of mustard seed, truly I say to you, you could move mountains.” What is really interesting though is (referring back to my account of a professor challenging a student to beseech God in order to accomplish a miracle), Alpert (aka Ram Das),explained that what Jesus said is literally true, but that when one is united with God, and truly has to power to move mountains, its turns out that God wants the mountain to stay right where it is! So in a sense, if God’s plan is completely predetermined, then everything that he has done, will not be changed by anyone–even when enlightenment is realized! I know there’s a lot of theological concepts in this and I may seem gullible to dote on it, but I have always felt that just because anyone tries to do what is (assumed) to be God’s will, And, (with the professor), perhaps a miracle to make the rest of the class believe,” is not going to happen because miracles performed by a divine being cannot be summoned on a whim, like having wishes granted like a Genie in a bottle! This whole concept may sound naive of me and comical in a sense—but wouldn’t God have more important things to do? Likewise scientist who think they have proved the nonexistence of a “soul,” by measuring the body weight of someone just before and after death, are not going to convince anyone either, simply because, of course, those who believe in a human soul, consider it not to have a corporeal nature, and to be non-material in the first place!—so how can any experiments done on a physical body disprove something That is already commonly considered non-physical, or spiritual? intellectually shallow and overly dependent on theological thinking. In closing, I just want to say how touching your ending remarks were. The old saying, “there are no atheists in foxholes” probably applies to many of us faced with the finality of death, and at such a time, most of us are justified in having a fear about the unknown. But, In several places the phrase “God is love,” appears in the Bible as well as in the holy texts of many other faiths, and, I believe this concise concept is a remarkable way to keep things simple. One of my favorite recording artists during the early 70’s was Jethro Tull—including his song and album about an alcoholic which was titled (Aqualung). In what seemed to me to be a rather spiritual song used to express his dislike for arbitrary religious teaching, I remember the lyrics. “I don’t believe you! You’ve got the whole thing all wrong—he’s not the kind you have to wind-up on Sundays!” The beauty and passion included in this song about a dying drunk, still impresses me some 45 years later, and so I know that spirituality should not be labeled and bound by those who feel that they alone have all the answers. Thanks for a great post with a touching ending. Namaste! I’m a Jethro Tull fan myself. Saw them in concert three times — all were very different shows. Those were the days. Actually Jethro Tulls lyrics were, “I don’t believe you! You’ve got the whole DAMNED thing all wrong!” The inclusion of this word, made his song, even more heartfelt than It would have been without it. I don’t know why my brain had a temporary glitch, when I didn’t include this word? I must object to your description of Pascal as a philosopher, and your suggestion he was a rather poor one at that. In fact, he was by profession a mathematician and a scientist specializing in fluids. 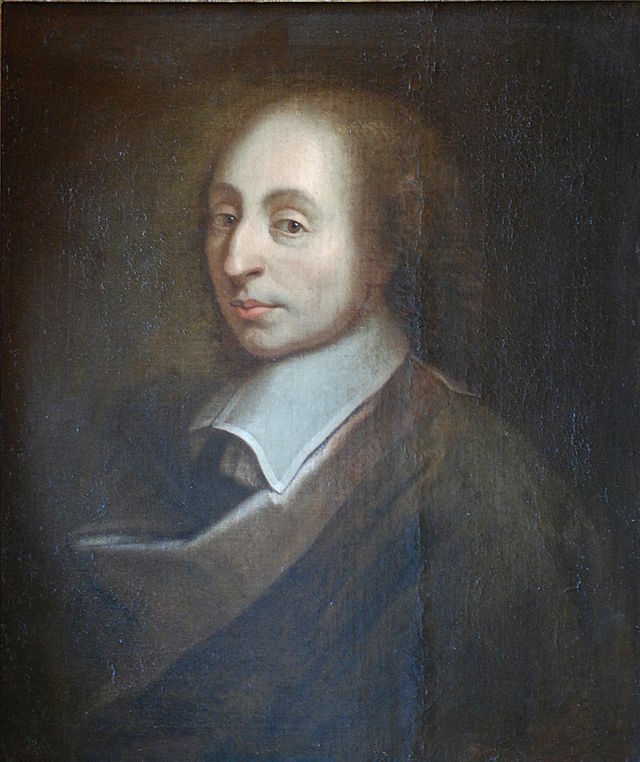 Pascal largely proved the existence of the vacuum, discovered what we now call Pascal’s Law, derived the arithmetical triangle, invented the mechanical calculator, and wrote one of the first defenses of the scientific method, which anticipated the doctrine of falsifiability. Among other accomplishments. It can be argued, successfully in my opinion, that his philosophical and theological writings were hobbies brought on by his conversion to Jansenism, which believed in predestination among other things. It was not uncommon for his time for scientists and mathematicians, who were devout, to dabble in theology and religious philosophy. They saw no inherent conflict in this. His argument is that, since we cannot know whether or not God exists or even find out the answer to that question, we must gamble, or wager, on whether to believe or not. As a Christian, and a predestinationist Jansenism who believed in original sin and human depravity, he naturally couched his wager in terms of a choice between eternal bliss (happiness) in heaven, or eternal damnation in Hell. However, the basis of his Wager is that we can never know if God exists, so we cannot avoid making a choice of belief one way or the other, regardless of how we weigh the probabilities of the consequences of our choice. As such, it has nothing to do with the “overrated” question. Pascal was indeed a philosopher among other things, and I never said that he was a poor one; I said exactly the opposite. No, his proposition was not intended as a “proof” of God’s existence — merely as an argument that it’s wiser to assume He does. It’s a faulty argument, and it’s extremely relevant to the Overrated Question; my point was that people who consider this question so important do so for essentially the same reason Pascal did. Calling him a “great thinker” does not negate the fact that your critiques assume his arguments were based on incompetence. It’s a form of equivocation: calling him a “great thinker” is just so you can deny your implication that he was a fool, philosophically, if called on it. You didn’t even try to explain how an argument that is based on the denial that we can even ask whether God exists is relevant to the question does God exist; you just restated your original argument, and ignored my critique. This is simply logic: if we cannot know if God exists, then it is meaningless to even ask if God exists. Ergo, Pascal’s Wager has nothing to do with your “overrated question”. Your shoehorn is just so much sophistry. My profession is biochemistry; my hobby is fishing. Calling Pascal a philosopher in a way that implies it was his profession makes as much sense, and is as accurate, as saying my profession is fisherman. By calling him a philosopher and ignoring his far more important professional contributions to mathematics and physics, you are able to subtly denigrate him in a way that predisposes your readers to accepting your criticism uncritically. It’s a form of red herring, and you’re still using it. If you had admitted he was a mathematician and a scientist, people would have been willing to take him as an expert, and thus they would have found your critiques hard to accept. Instead, by calling him a philosopher, people would see him as a navel-gazer who spent his days dreaming up fanciful ideas that had no concrete reality, and thus would be more willing to accept your critiques without asking if they even made sense. Wrong again. And I don’t intend to keep repeating myself endlessly. Pascal did not say that we can’t “ask” whether God exists; he said it’s impossible to KNOW by REASON ALONE. He obviously considered it important to ask or he would not have brought it up, and he certainly wouldn’t have connected it with eternal bliss via unproven assumptions. If he was implying that it’s meaningless to ask whether God exists, that would make him agnostic; and you yourself pointed out that he was a Christian. Just because he believed that God could not be verified by reason alone does not preclude the possibility that He could be verified by other means — divine revelation, for instance. The Wager is a proposition that the wisest course of action is to believe God exists. If you cannot see that this is related to the question of whether God exists, so be it. I didn’t even get into his assertion that participation in the Wager is mandatory, as that would be a rather lengthy tangent that would be beyond the scope of my original discussion. You are trying to make a major issue out of my supposedly saying that Pascal explicitly asked The Question, when I actually said that people who do ask it are often following a similar line of specious reasoning. The faulty reasoning Pascal exhibited in this proposition does not in any way suggest that he was incompetent in other endeavors. His pursuits in science and math are irrelevant here. By neglecting to mention them, you think that I’m demoting him to the status of an idling “navel-gazer”??? Are you pulling my leg? Not that it matters, but I have every bit as much respect for philosophers as I do for scientists and mathematicians. You are really grasping at straws (and straw men) in an effort to discredit me. Save your energy. Neither my philosophy nor my capability is at issue here. I am saddened and disappointed to see, given that you’ve previously offered feedback that was interesting, informative, and even helpful, that you have descended into petty hair-splitting, unwarranted assumptions, unfounded allegations, messenger shooting, psychic psychoanalysis and distortion of words. I don’t know why this has happened, and I don’t care. Enough already. If you want to see your comments approved, keep them relevant, and challenge me only when you actually have something to challenge. I don’t have time for this; my readers deserve better; and you’re certainly capable of doing better. Regarding your discussion on skepticism, you might find this article by Marcello Truzzi interesting. Truzzi was a co-founder of CSICOP and he is credited with coining the phrase “extraordinary claims demand extraordinary proof” (Sagan changed proof to evidence). Truzzi points out that adopting skepticism does not automatically make one open-minded. This is actually a commentary on pseudo-skepticism, which I’ve also referred to. Red herring. Truzzi’s point is that many people who call themselves skeptics nonetheless tend to be very close-minded. He calls them pseudo-skeptics; they deny that this term has any meaning and continue to claim that they are objective, despite evidence to the contrary. As such, adopting skepticism does not automatically make one open-minded. Now, you may wish to believe they are not true skeptics, but to paraphrase something I read here, if they choose to call themselves skeptics, who are you to judge that they are not? This is truly truly truly bizarre. You just reiterated what I said, and then suggested that I said something very different. I acknowledged the intent of the article you cited, and you call it a “red herring”. Yes, adopting skepticism actually does make one open-minded, because they are essentially the same thing. Or at least open-mindedness is the very manifestation of skepticism. As for me “judging” who is or is not a true skeptic, there is no need for me to do any such thing. Unlike the proponents of a creed, the proponents of skepticism brand themselves unmistakably. If a person says he knows that global warming is a hoax, he is definitely not a skeptic, at least on that particular topic, because he has violated the very definition of skepticism. The point is, this fallacy is based on ignorance of the phenomenon in question. I doubt very much that any of the philosophers you implicitly mention dropped the particular ball you describe. If none of them pedantically stated, “By God, I mean the Christian God,” it’s because the audience they were writing for were themselves Christians, and so would take that for granted. As for Pascal, his writings make clear that the god he refers to is the Christian God; more specifically, the God envisioned by Jansenism. Your use of this criticism feels a bit like nitpicking, and seems based more on a modern atheistic sensibility than any attempt to understand and critique Pascal’s philosophical musing. PS: Just about every criticism you raise has already been answered, mostly by Pascal himself. Failing to address this, even if you find these counter-arguments unconvincing, presents a distorted picture. And the assumption that “God” means “the Christian God” still leaves much to be desired for purposes of definition. A satisfactory definition does not rely on incestuous frames of reference. Your characterization of my objection as a “geocentric fallacy” is downright bizarre, particularly since I’ve repeatedly warned about such a fallacy myself. Unlike the philosophers in question, I was not trying to prove or assume anything to be true beyond dispute. Note that I did not say none of them EVER attempted to define God. I have not necessarily read every word that all of them ever wrote, and there is certainly much that I don’t recall from their writings. Unlike the two of you, I have long since forgotten much of the information I knew about philosophers (and scientists like Pascal. My last philosophy course was taken as a college student about 40 years ago. I did study all of the usual philosophy courses, (like the philosophy of religion), but although I did well, much of those particular arguments have long ago washed away like water under the bridge. What I do remember is that I had several close friends, and fellow philosophy students, whom I respected immensely. And even though some of them described themselves as atheists. We held harmonious and informal discussion about what we studied in the Student Union. We all concurred that no one can prove or disprove the existence of a higher, or all knowing being by rational means, and that believe or disbeliefs depends on one’s basic ways of conceiving of such an entity, as well as which forms of argument one considers the most valid i.e. logic and/or intuition. So in reference to Pascals wager, all I can say is that my conception of philosophically “dropping the ball,” is in assuming that undeniable proof of God, (as conceived of in any major religion) can be ascertained in any way. A Supreme being is not something (or someone) that can be understood through a rational process—like a mathematical equation can, or even understood with all of the empirical evidence that one may believe exists. And although to me the notion of a God makes great sense on an intuitive or inspirational plane, I don’t pretend that I can demonstrate that this way of thinking can ever be unerringly proven to anyone–even if that person’s focus is entirely rational, and objective. What I do know, is that my atheist friend were extremely intelligent, and that, we loved and respected each other like brothers. So, it really is a common misconception that morality (in an ethical sense) can only be felt and demonstrated by those who practice the rituals and doctrines of a particular religion. And neither can one assume that a very religious person, cannot also posses a great capacity to believe in, and express love towards his or her fellow men—anyone, having any beliefs, may exhibit ethical behavior towards others. However, whenever I am approached by someone who seems a bit fanatic or mentally programed, their asking if I believe in God, is rather an odd way to begin any conversation, and is also a rather brassy way to introduce oneself. I agree that answering this question with a simple yes or no, is, in terms of social discourse, quite meaningless—since anyone can say yes or no, without really considering the potential depth of the question before them. I think It’s not really as necessary to know if God exists or, if one is able prove that God exists, as it is to be able to listen to the teachings of great spiritual beings like Christ, Buddha and Mohammed, and decide if those teachings resonate with oneself in a way that might be personally described as being spiritual or moral. That’s why to me, making such a fuss about knowing all of the answers and.or proving that one is absolutely correct about them, can easily become a vain endeavor, and, like the Preacher in Ecclesiastes said, like chasing after the wind–(no doubt I’m not using an exact quote). And Biochemborg—I long ago conceded your point that accounts of the persecution of scientists at the hands of the church, or religious authorities during the Middle Ages, were not nearly frequent as commonly thought—–and that, there may be none at all that can be proved. That’s why I find your antagonistic responses completely mystifying? However, just know that I do believe in a Divine being or a higher power in the Universe, and its been my experience that many who claim to be Godly feel that religious bias is necessary in order to know the “real truth,” but their actions really speak louder than their words! So, if I spoke unkindly about religions in general, that doesn’t mean I am not in complete awe about the wisdom and love displayed by Christ and his teaching he often passed on by example. All I am saying is, when so many claim to believe the most bizarre and and violent doctrines palmed off as forms of spirituality by groups like Al-Qaeda and ISIS, but unwisely hesitate to honestly examine the validity of such beliefs, then obviously the clear teachings of all the great religious ICONS in the world, are seldom being followed or even transmitted to others with accuracy. This observation has nothing to do with whether or not all religious people are so deceived, or if all of the faiths they follow are practiced in vain–its just a personal observation that I think contains some measure of truth, and when I express it in the way I expressed my personal observations to my friends 40 years ago in the Student Union, I cannot claim it is anything but opinion, and one that is not provable or perhaps entirely accurate. I didn’t think of, or express, these observation in order to play games with my friends, and I never tried to label them as being profound. I also did not attempt to wax philosophically just to play games with you, or to denigrate your beliefs. So its a shame that you, somehow, find them so personally offensive.